Below is Kohl's policy on Kohl's Cash straight from their corporate website. • The amount of Kohl’s Cash you’re awarded is based on your total after all discounts are taken and before tax is applied. • Kohl’s Cash earned online will arrive via e-mail. • Spend your Kohl’s Cash during days listed on your Kohl’s Cash coupon. • Gift cards and Kohl’s Cares for Kids items can’t be paid for with Kohl’s Cash. • Kohl’s Cash can’t be used to pay your Kohl’s Charge. 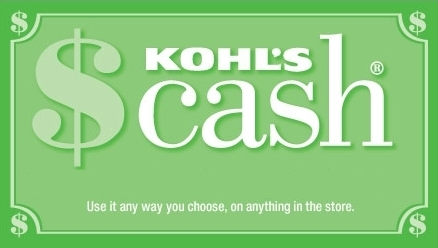 • Ask an associate or contact us if you have questions about Kohl’s Cash. We’re happy to help! Also, keep in mind, when you plan to use a 15%-30% off shopping pass while paying with Kohl's cash, the Kohl's cash is applied BEFORE the percentage off discount."